New album "Ephorize" out now !!! https://t.co/ChyoMWXBkR #Ephorize if you rocking with it !!! CupcakKe released Ephorize tonight. The 15-track follow-up to last year's Queen Elizabeth was announced late last month. 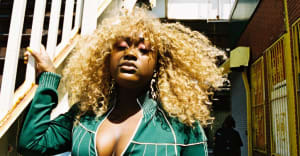 The Chicago rapper was most recently featured on Charli XCX's Pop 2. Stream Ephorize on Apple Music now.